If you missed Part 5 of this series, check it out here. From the beginning of time, humans used pictures to tell stories. One of the most interesting and earliest cave drawings are the Pleistocene drawings, found in the Lascaux caves in Southwestern France. They were discovered nearly a mile underground, and the walls and ceilings of these caves display some of the most beautiful and delicate paintings of realistic animals that were approximately 15,000 years old. 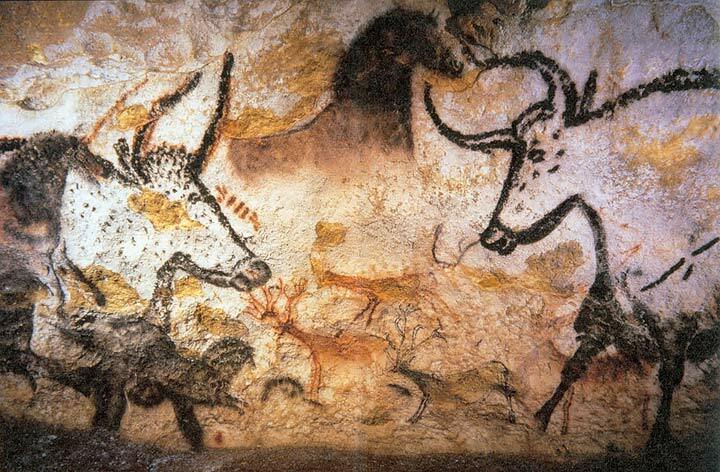 These animal drawings and paintings include horses and aurochs an extinct type of cow. The details and subtlety of these Lascaux paintings would have impressed Michelangelo. Unlike most modern computer technologies that seem cold and sterile, drawing has an immediate tactile response and deep roots in human culture. This palpable experience is very primitive and connects us with our past. Many of these paintings are of figures outlined in charcoal with the figure filled in with a brush made from leaves and animal hair. They smeared handmade paint with their fingers and they would blow paint on the walls through reeds. These Paleolithic artists’ discovered a new process that changed the way they looked at life. They began to capture their surroundings, painting animals, hunting experiences and ultimately themselves. 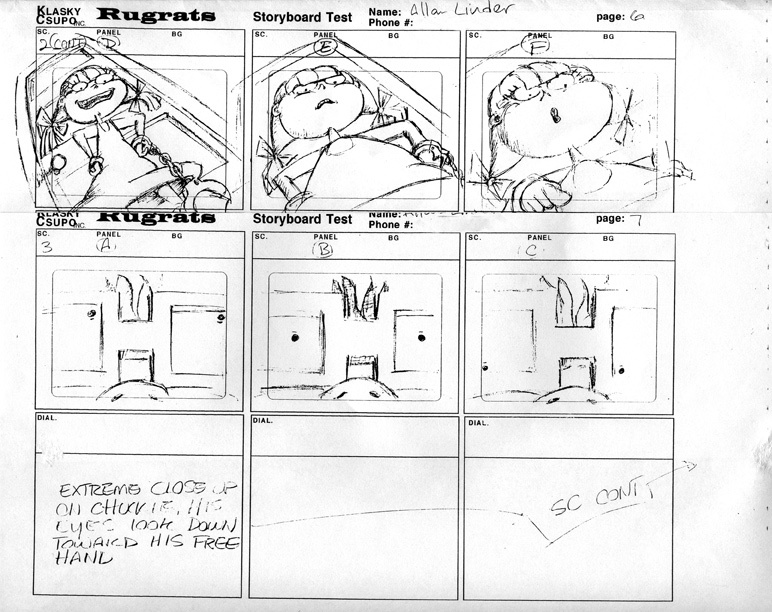 A storyboard is exactly that, it tells a story through pictures. 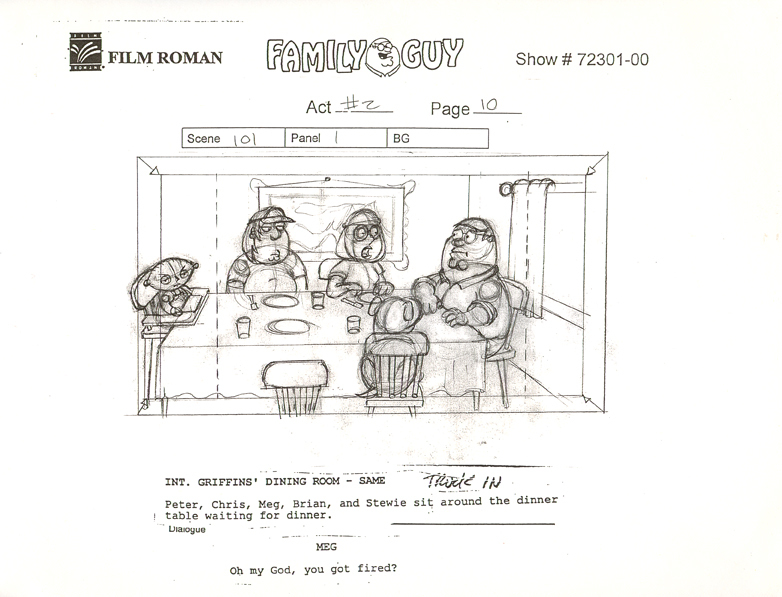 The example below is Family Guy Storyboards I did way back when... 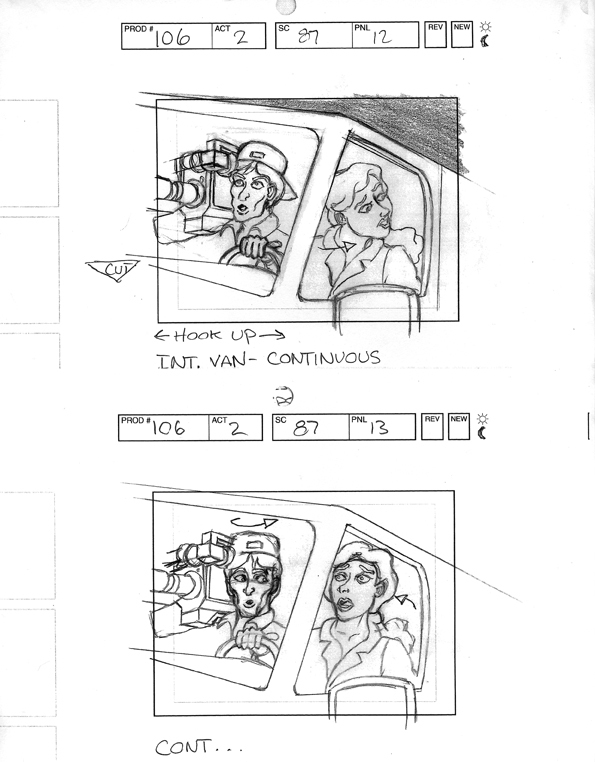 In this set, the camera (the viewer, reader of your book) follows the action, which happens to be only conversation. Start with the very first page of your story and follow the action. 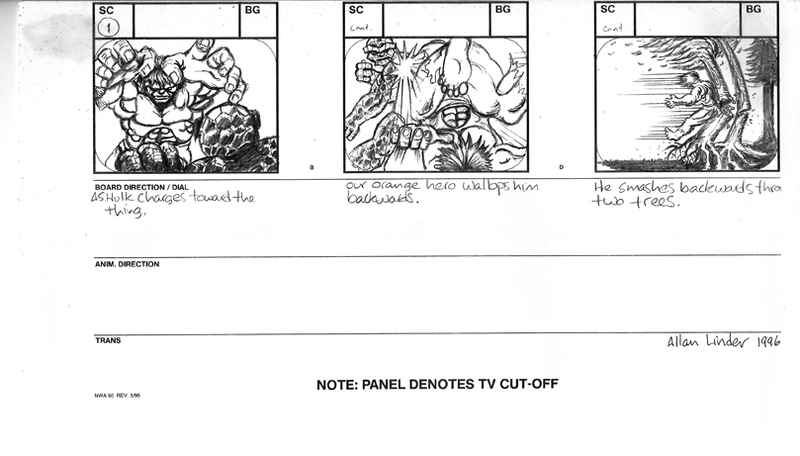 If you have written your story in comic book format, then you pretty much have each panel laid out already. Because the comic format is a one to one format, simply follow the action. 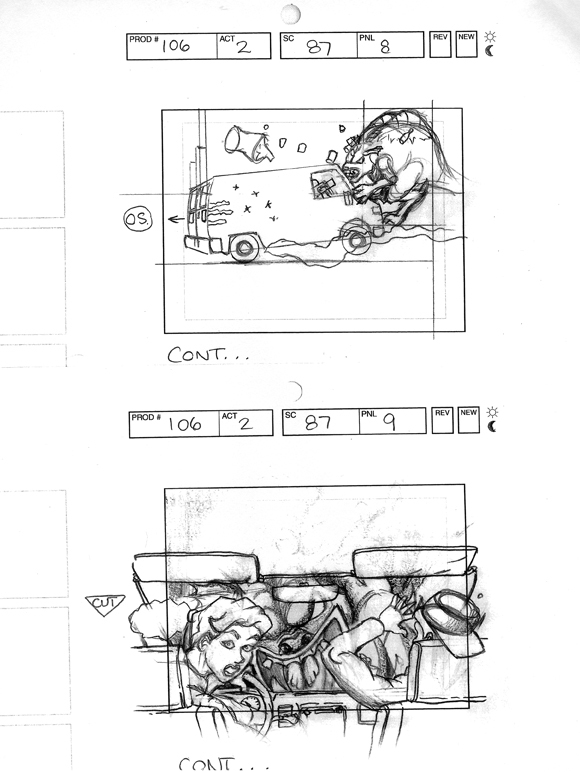 I use thumbnail sketches to start, sometimes nothing more than stick figures to get a flow going. 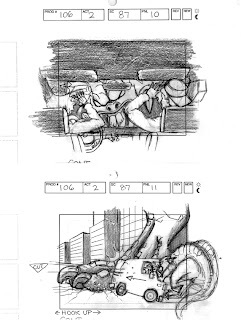 The storyboards are the forgiving stage of making your graphic novel, and there is always more than one way to draw a scene. You need to experiment with a variety of angles, transitions, and shot compositions to nail it down. What is your intention for each scene? 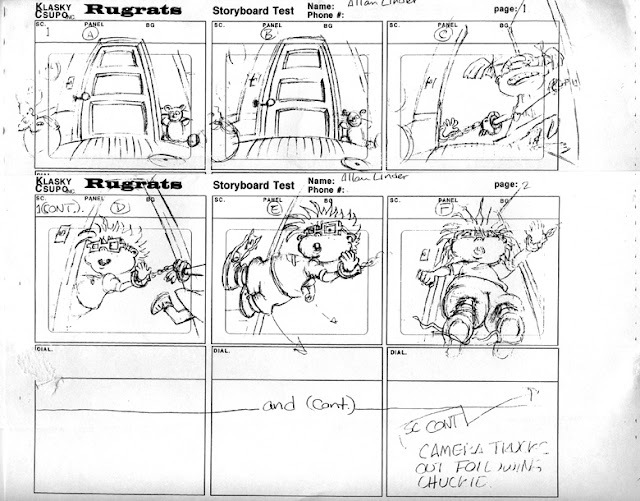 I included some of my old storyboards above to show you what I did wrong. 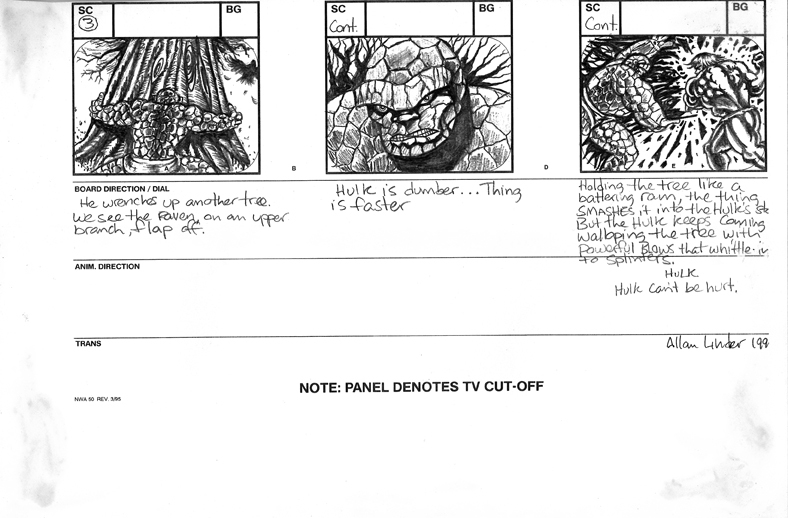 In the Incredible Hulk and Fantastic Four boards my imagery is muddled. 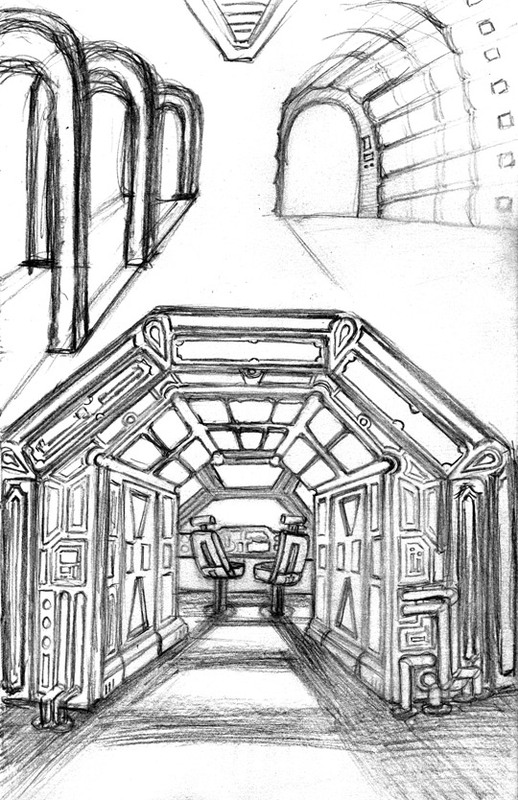 I don't seem to have a real clear direction on each of the panels. The second problem is that they are way too detailed. 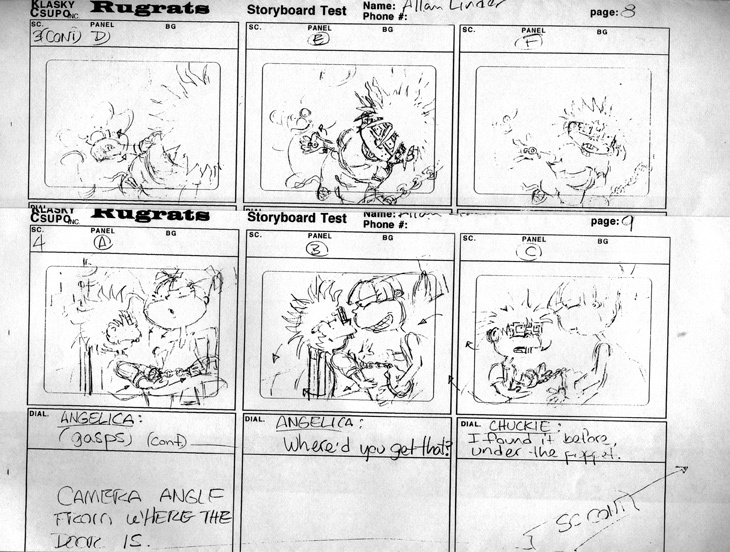 These boards are for TV and should have been a looser. 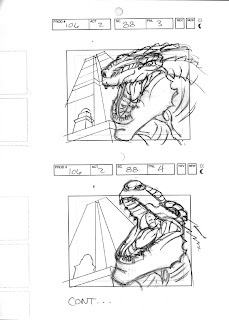 You can tell by the Godzilla boards below, that my panels are a lot clearer and less detailed. The third problem is some of my anatomy isn't correct, Marvel always told me to go to the zoo and draw animals from real life. (Good Advice taken later in my art career) It's a wonder that Marvel let me do anything for them. My thing is, that I grew up on comic books so in my mind everything should be highly detailed, that isn't always the case in commercial art. 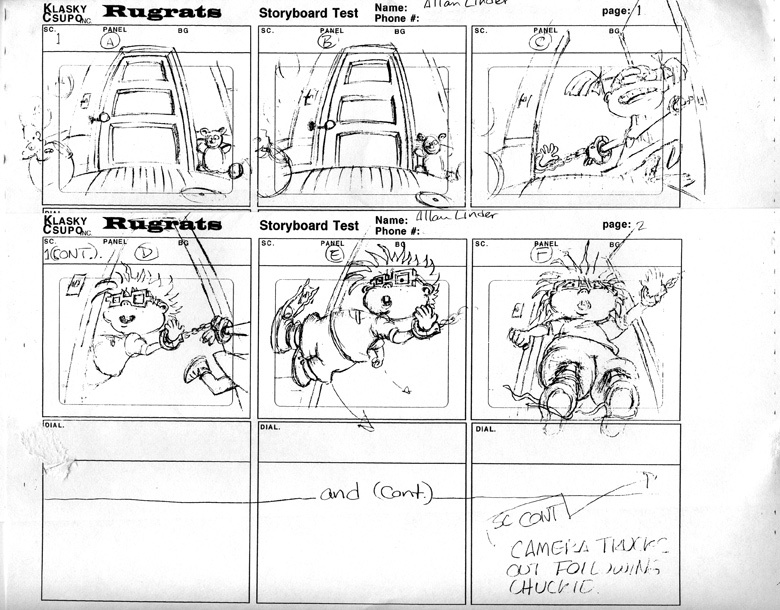 Storyboarding is about pacing, timing, and your message. It gives your characters the impression of movement without moving them. 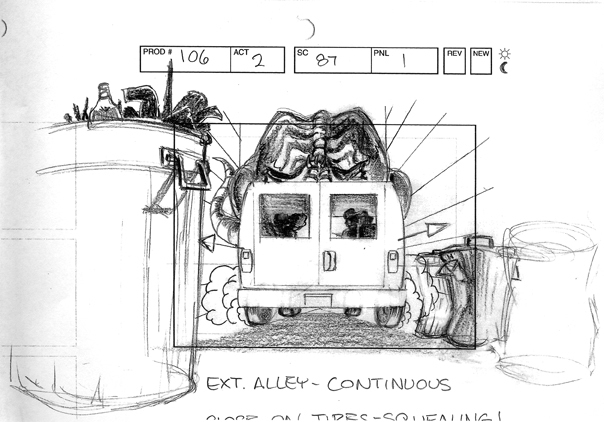 Your boards can be pencil, pen and ink, digital, black and white or color. 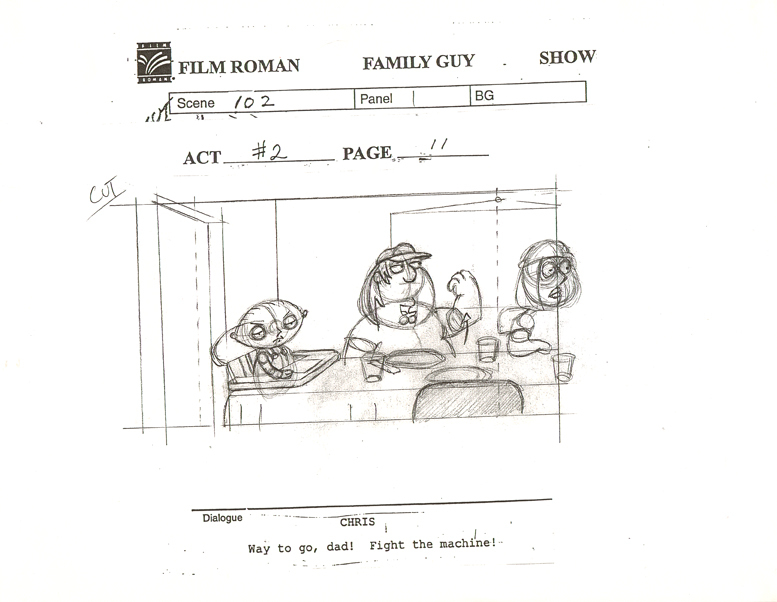 I typically use whatever I have available to jot down an idea for a scene, my boards are usually very sketchy, because I do the finished work later. I also like to make notes and put a bit of the dialog in them so I get the feel for the scene. I had an art teacher in high school that told me one of the dumbest things I've ever heard from a teacher. He said, “Try not to use your eraser because it will force you to be more skilled at drawing.” This is complete nonsense! Fortunately, for me I didn't listen to him. I use my eraser as much as my pencil if not more. One of my greatest comic book mentors, Alfredo Alcala, (Penciled the original Star Wars comic, Batman, Swamp Thing, Voltar and more notably in my book, Conan the Barbarian) showed me some very interesting eraser techniques which I still use today. The point is that drawing is like putting together a puzzle. You have to keep adding and subtracting from it until you get it correct, rarely anyone gets it right without erasing something. 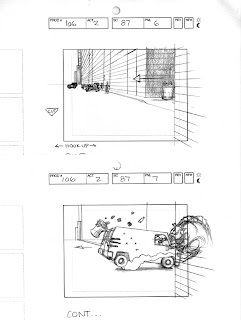 When I storyboard my ideas, I don’t usually use a ruler to make straight lines until the final artwork. The image above is right out of my sketchbook. No rulers were used on this drawing, and you can tell, . Everything looks a little bit soft. Please use a ruler for your finished product it will make everything more professional, and straight. 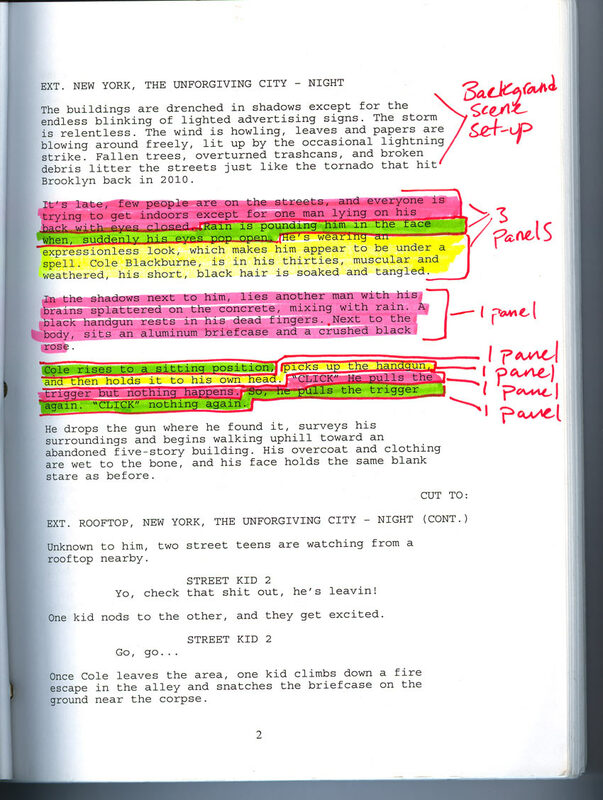 Another good option is to try and think about your story like a movie. 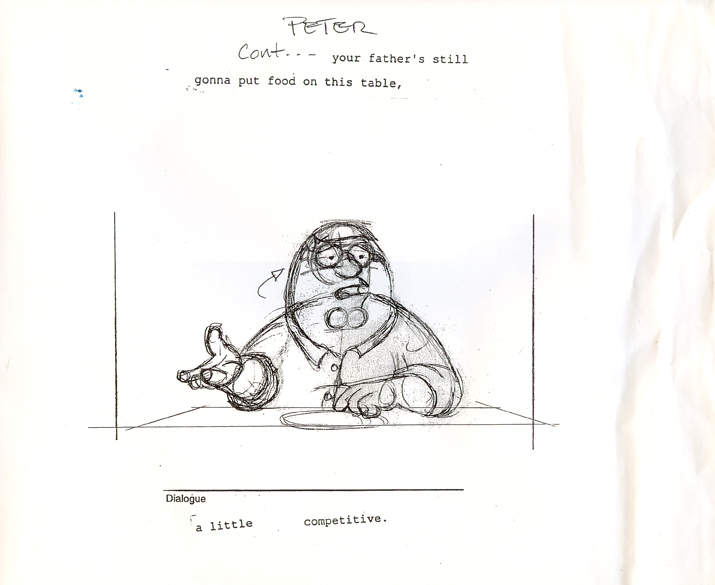 If you watch a lot of TV or Movies then you already know how some of the best directors in the world visualize their ideas. 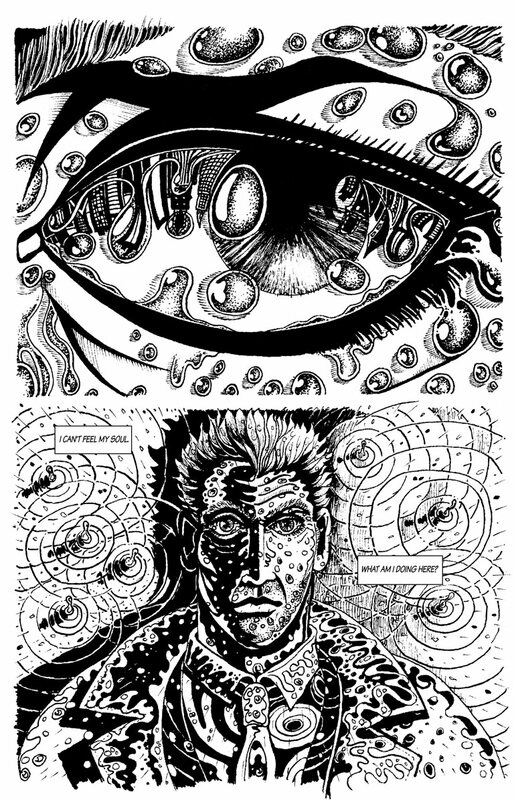 Comic books and Graphic Novels can be thought out the same. 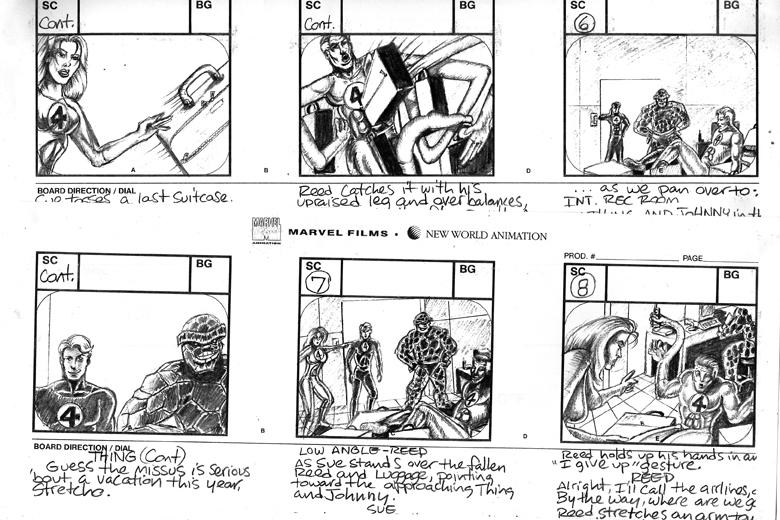 For inspiration, here are storyboards from 15 great films. 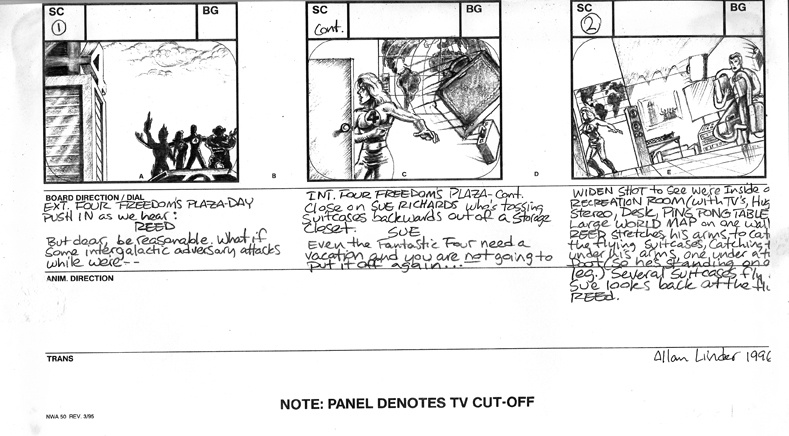 You can also see Ridley Scott's Storyboards for Blade Runner here. 1. The best place to start is here: WallyWood's 22 Panels That Always Work! This process is tried and proven it works for me. You can use Wally’s principle on any genre of story, it doesn't matter if it’s a superhero, action, comedy or horror, staging and composition are classic. 2. Reference Material: This is so very important. 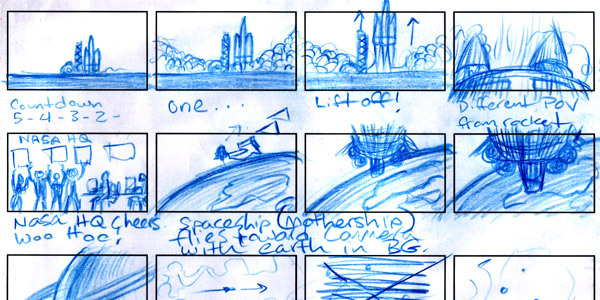 If your story calls for a nuclear submarine in one scene and a skydiver in another don’t just make sh*t up, the library and internet are your friends. 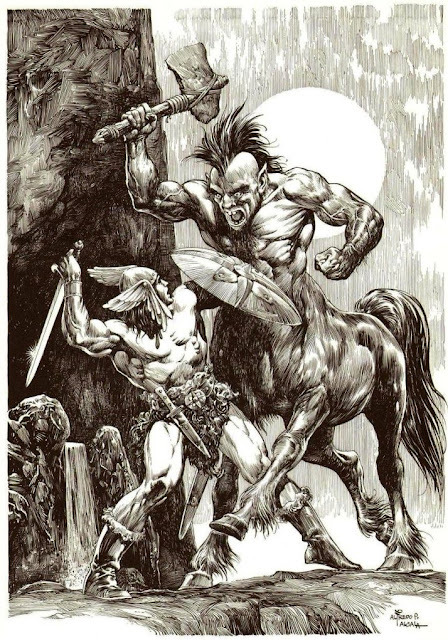 Find images that you can use as reference. That doesn't mean trace something right out of a book, it means knowing what equipment looks like, how it functions and how it’s used will make your story more believable. 3. 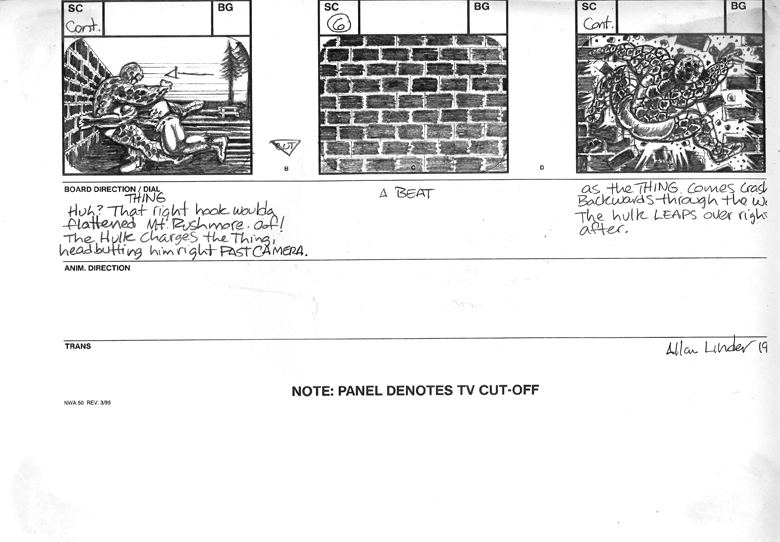 Scene Breakdown: The elements of a scene include the ever-important opening shot, characters, setting, camera angle, shot, lighting, costumes, and props. Use a digital camera to capture an idea of a scene with props and models. I sometimes use artist figure armatures, and then I pose and light them. I take digital snapshots to create a panel for a scene in my graphic novel. If you don’t have armatures, use action figures or anything resembling a human form. 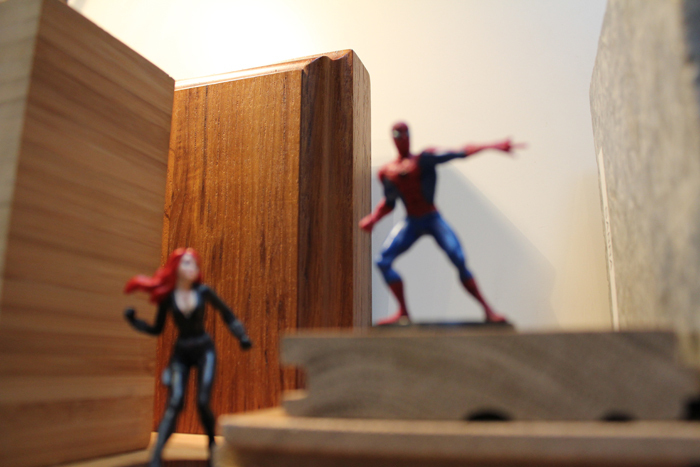 It helps to draw from real life, so I use a lot of prop models for my ideas. 4. Translate Words to images: I said this before, and I’ll say it again. Follow the action. (See example below.) 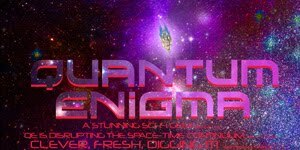 Spontaneous writing was one of the things I didn't cover in the first part of this series. The first two parts of this series I discussed various writing techniques and I didn't cover spontaneous writing, because I don’t recommend it until you know what you're doing. Writing a script is like having a map when you are traveling. It helps you get from point A to point B. Spontaneous writing is like going on a road trip without a map if you don’t know what you are doing it can be an incredible waste of time. Only on rare occasions do I write this way, it’s fun to see where a story goes. 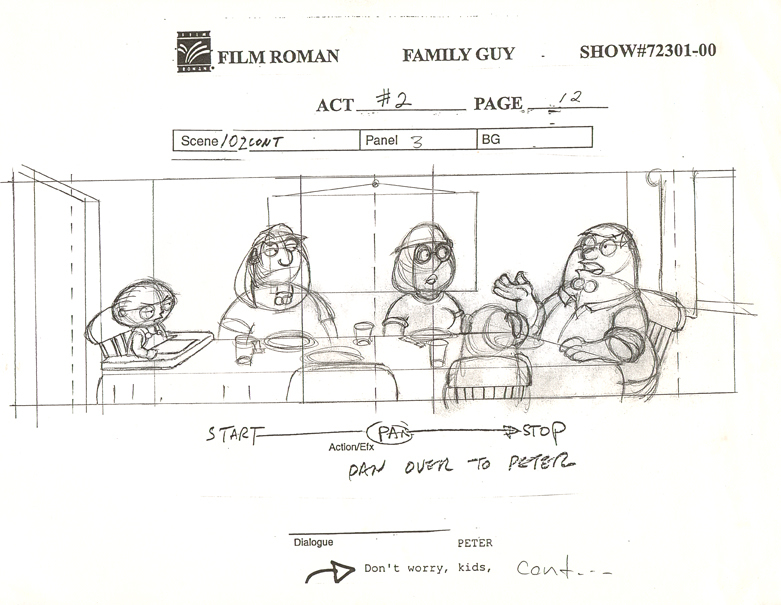 So, here is how it works, basically your storyboard is your writing, that’s right. You write with images. Many artists do it this way, a good example is Robert Crumb, Many of his stories come right out of his head and onto the paper without a written story to back them up. 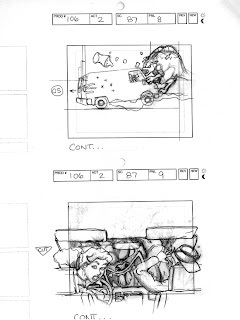 When you get to a certain point in your drawing, you can try it, but if you don’t have the time to waste, then stick to the written word first. The reason I say this is; Say you draw 15 pages and then realize you don’t have much of a story because you didn't plot it out, now what? You have to go back to the drawing board and start over. 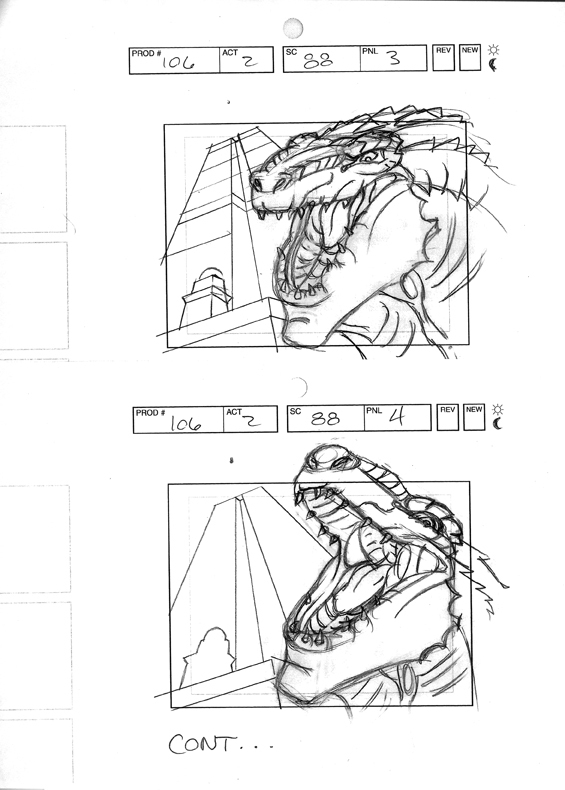 What you are looking at here is my process to go from words on paper to thumbnail sketches. 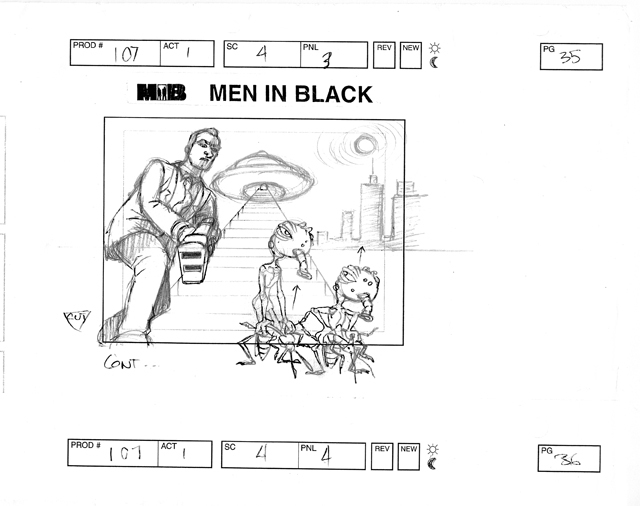 In Figure 1 above, I have pulled page 2 of my story and highlighted the action for each panel in a different color. Okay, here is the first text that is highlighted in pink above. "It’s late, few people are on the streets. Everyone is trying to get indoors except for one man lying on his back with eyes closed." I know I said one panel per action, but here I wanted to take it a step further and give the impression of a camera zoom and rotate. If I do that, then I need more than one drawing, it's actually the same drawing rotated 90 degrees for each panel. Technically, I could have just used the same drawing three times, but I didn't, I am sometimes a purist and like to draw things over and over, even if it's repetitive. What I was going for here was kind of a cinematic approach, think about a guy lying on his back on a wet street in a storm and a camera high above, zooming in on his face all the way down to only one eye. He's soaking wet and looks half dead. Did it capture your attention? 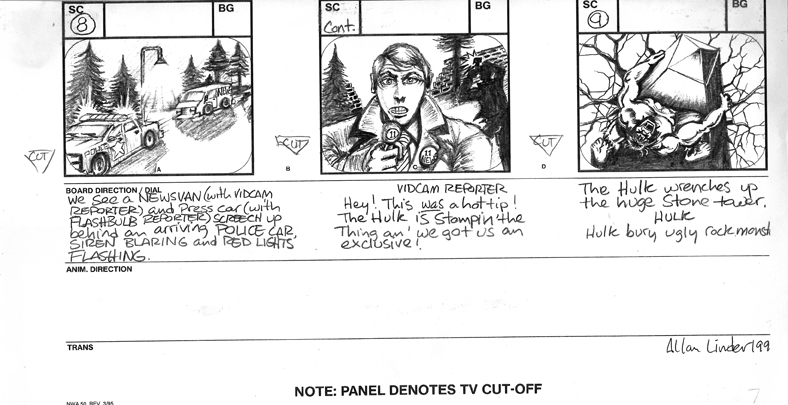 Next Panel, the green highlighted text. "Rain is pounding him in the face, when suddenly his eyes pop open." 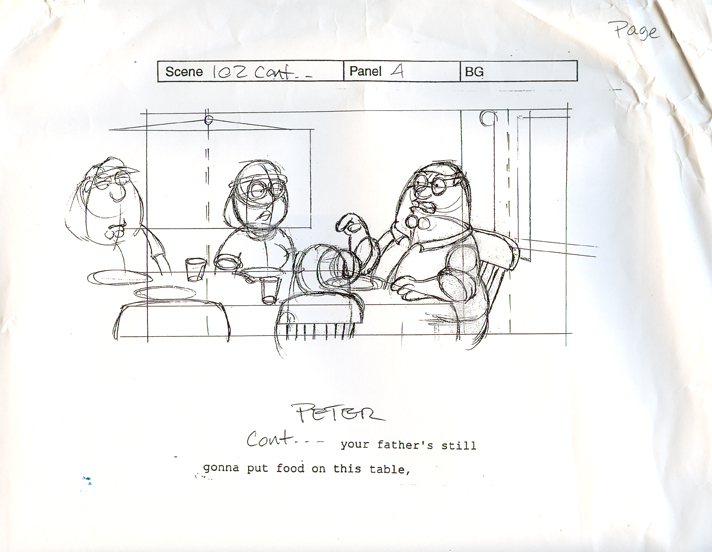 For this one I was going for a real shocking eye opener of a scene, a super close up. Now you know he's not dead, but he just doesn't look right either. You want people to keep flipping the pages, so you really have to grab their attention and not let go. 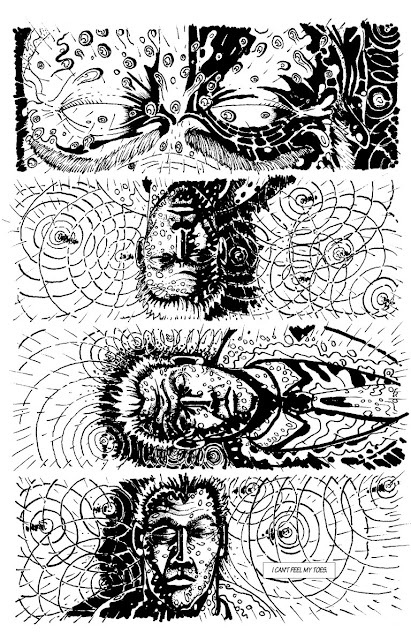 Below, is how the finished pages turned out in the final ink. Yes, I know it seems like a lot, it is. That is what I have been trying to tell you. So far, we are only one paragraph into the story and look at the amount of work I've already done. This is why I have been saying, that if you want to do this you must be committed 100%, that is the only way you can get to the finish line Good Luck! 5. 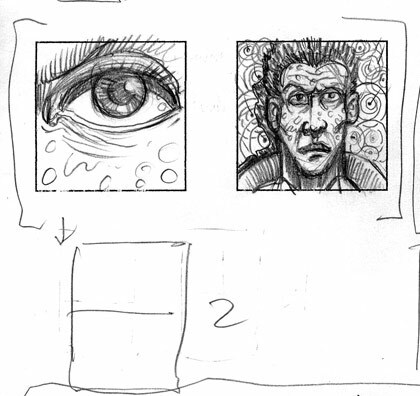 Start with thumbnail sketches: They’re small, easy and rough. 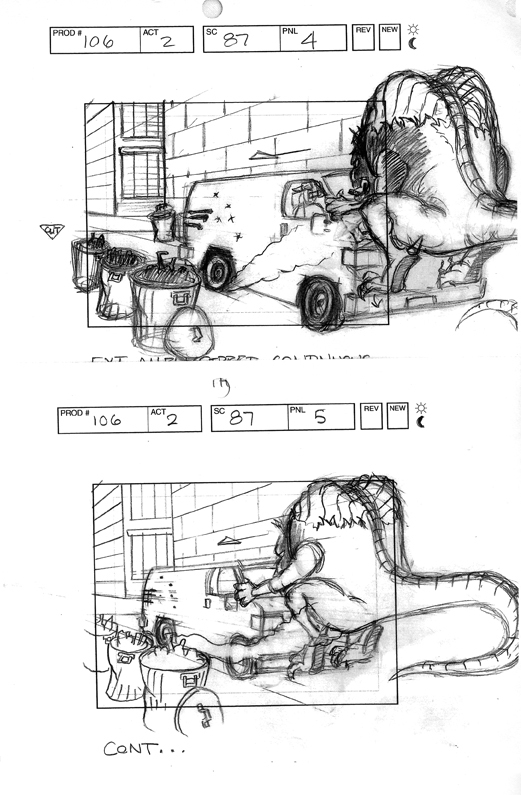 Here is a couple of thumbnail storyboard templates that I use or you can just draw rectangles in your sketchbooks to get started. 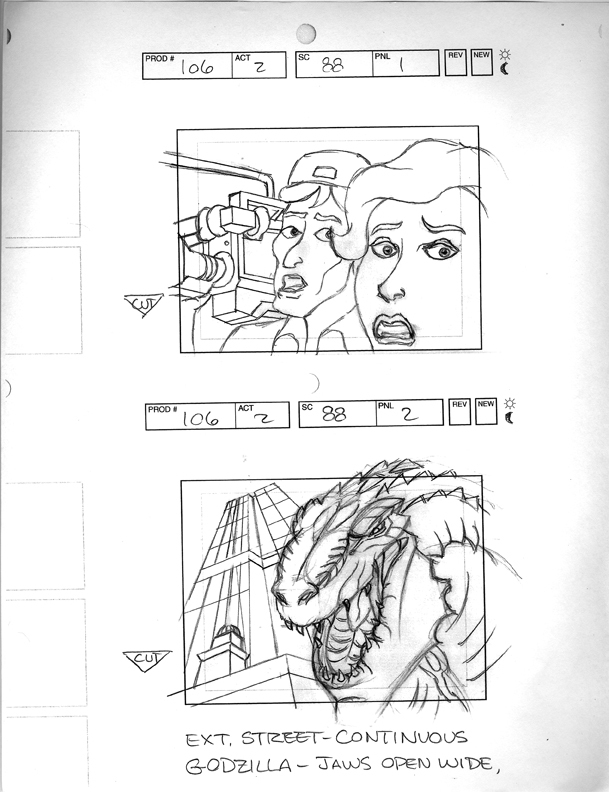 Storyboard Templates Eight up: 16 x 9 aspect ratio for HDTV, or Film. 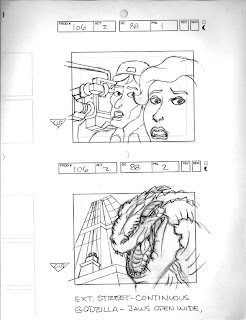 Storyboard Templates Nine up: 4 x 3 aspect ratio Standard Definition TV. Print out a bunch of them and start drawing. I use regular copy paper for the thumbnails don't get fancy or expensive. 6. 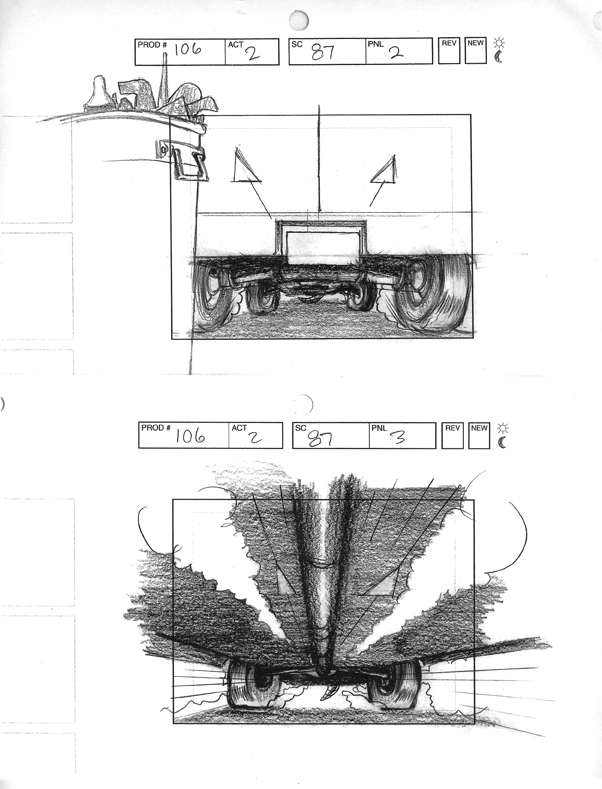 Draw more than one shot if you aren't sure: Many times, I will draw the same scene from different angles, using different lighting to get the best one. Remember, it’s art so be creative. 8. 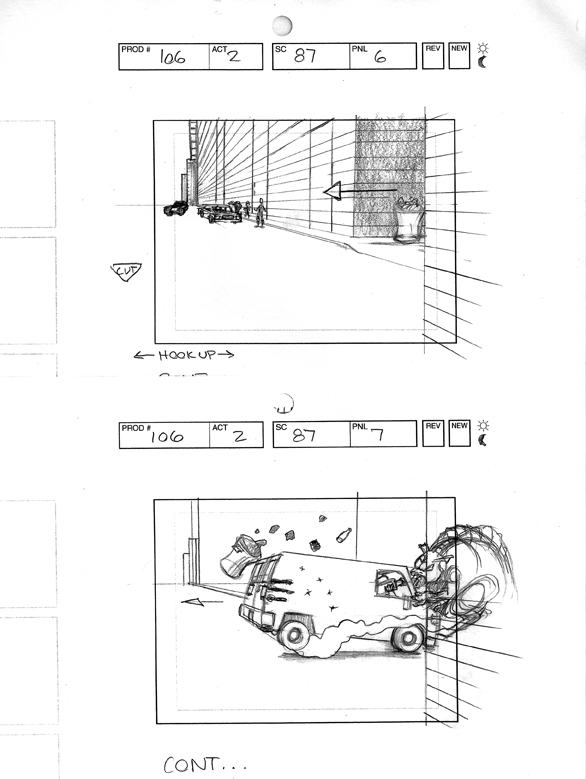 Don’t be afraid to move stuff around: Many times, I’ll draw several shots from a scene and choose only one. Then realize that I can use others on different pages, so I will re-purpose those drawings for somewhere else in the story. Don’t throw anything away, yet. Try to utilize as much of your art as you can, because every time you sit down for a drawing session, it takes time that you can’t get back later. 9. 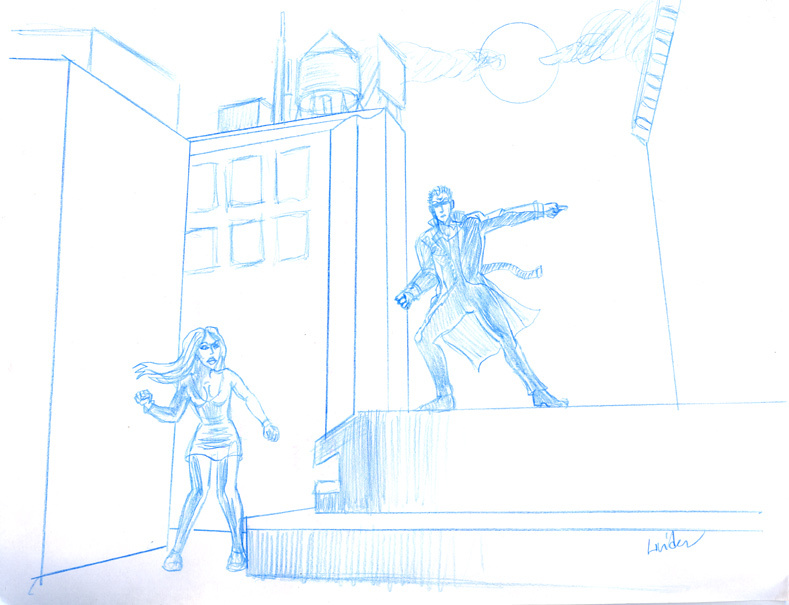 Draw everywhere: Once you get into a flow, don’t be afraid to sketch your scene wherever you are, or on anything even a napkin or paper plate. Many of my ideas have come to me at the strangest times and I have to get it down on paper for fear of losing it. 10. Draw from different characters P.O.V. 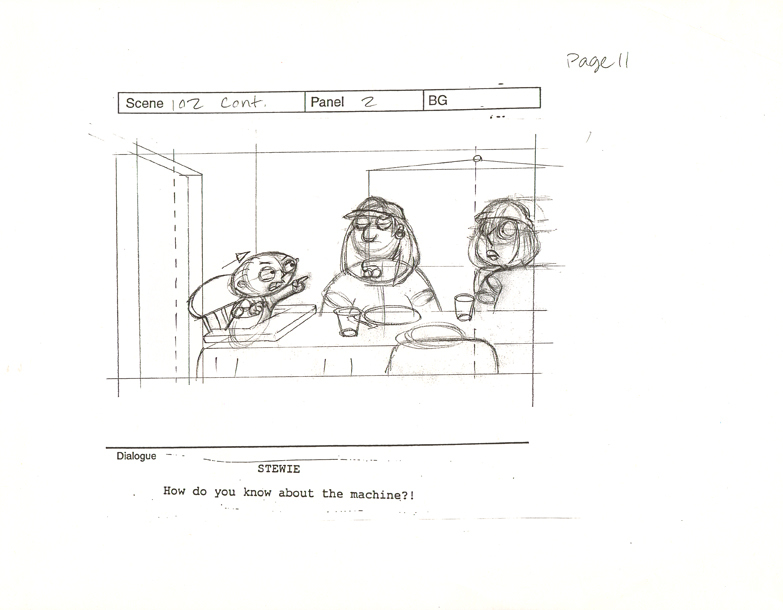 in the scene: Try to see things from your characters perspective, this will help you visualize the setting, room, or situation. OK, I know that the list of 10 items above is a lot to absorb, so here are the two basic things you need to know about storyboarding. ONE. 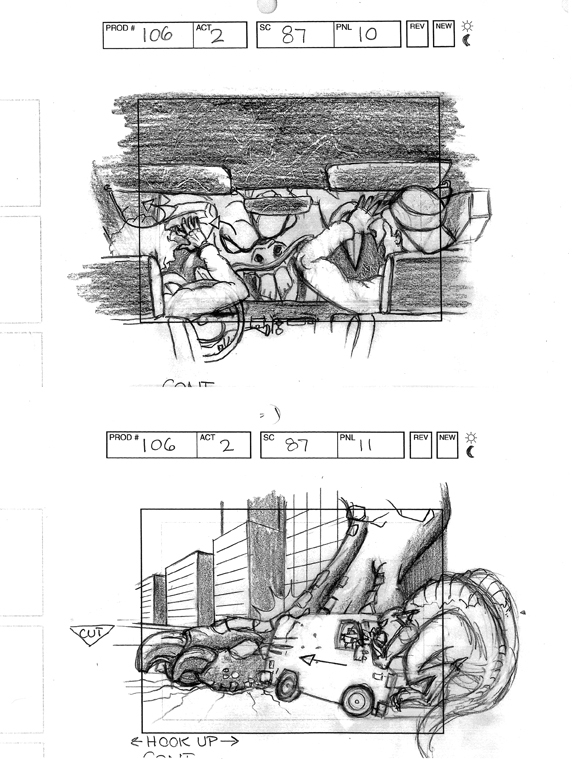 Read the story, follow the action, translate that into 1 or several panels depending on how complicated the scene is. (See above) The more you practice this, the better you’ll be at it. 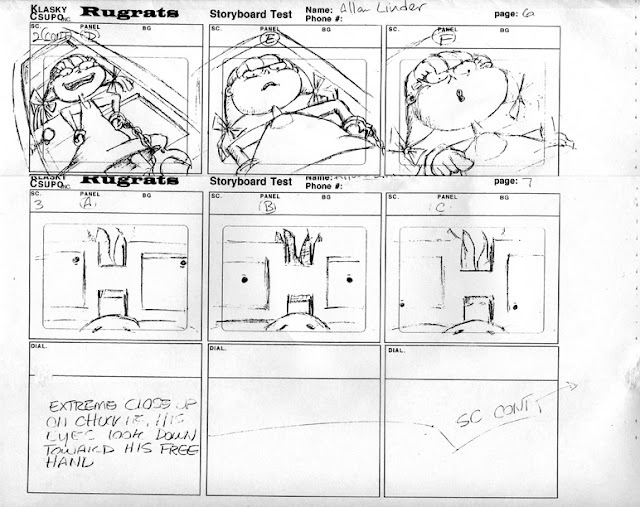 After a while, you will start to dream in storyboards. TWO. 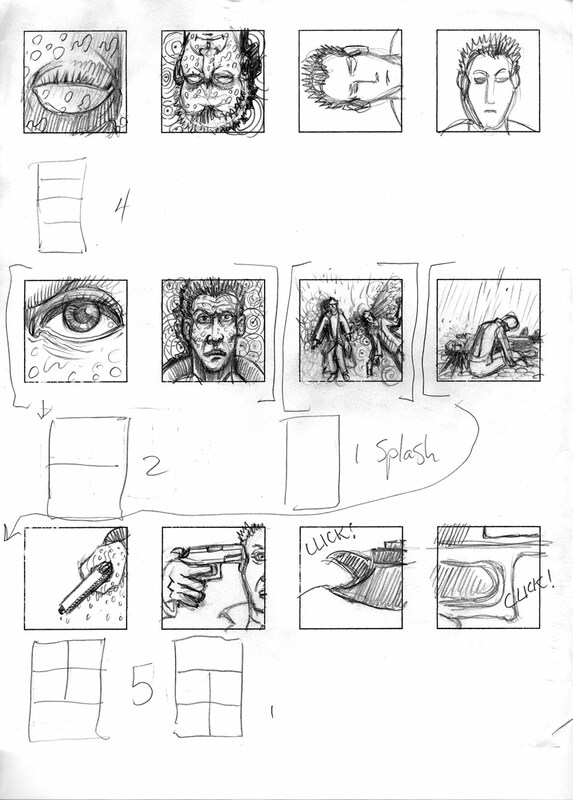 Start drawing thumbnail sketches from your story, not finished drawings. Don’t spend too much time shading, texturing and all of that. You’ll have plenty of time to do that later. As you get better and better at it, the fewer pictures you need to tell the story, the better. 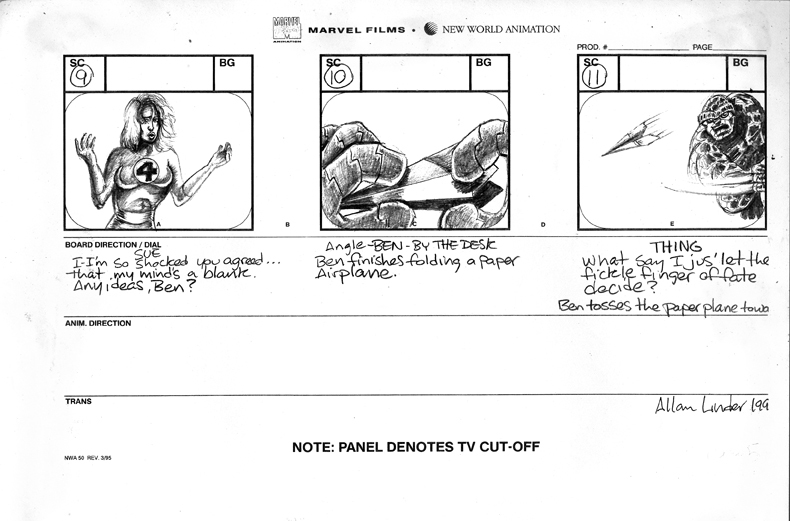 Click here for How to make your own comic book Part 7, Page Layout.